Amy’s elderly mother, June, was diagnosed with type 2 diabetes at the age of 76. Amy had been helping her mom with some tasks around her house a few times each week. After June received her diagnosis, Amy found herself spending much more time as her mother’s caregiver, stopping by almost every day to make sure she was eating right and taking her medications. About a month into her increased caregiving responsibilities, Amy began feeling like she was letting other parts of her life slide. She’d been late to work several times and had missed a few of her son’s basketball games. She knew she needed help but wasn’t sure where to turn or what kinds of things others could help with. Then, a friend suggested she try senior care. Amy called a senior care agency and asked what kinds of things they could do to help her mom manage diabetes. These are just 4 of the things she learned senior care could do. Many older adults have trouble remembering to take their diabetes medications. Senior care providers can help your aging relative to stick to their schedule of testing and taking medicines. They can also monitor your parent while they take medicine to make sure they take the right amount. Senior care providers can help your family member to stick to the meal plan suggested by the doctor or dietician. They can plan meals and take the older adult grocery shopping. They can also cook meals and snacks, as well as preparing foods ahead of time for the senior to heat up at meal times. The doctor may advise the older adult to track certain kinds of information to monitor how well the disease is being controlled. 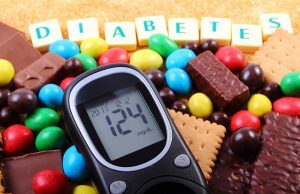 Tracking can also help your aging relative to know how certain foods and activities affect their blood sugar levels. A senior care provider can help by writing down what they ate, the results of their blood sugar tests, and how much and what kinds of physical activity they have engaged in. If your older family member is no longer able to drive, they may have a hard time getting to their medical appointments or to the pharmacy to pick up medications and testing supplies. Senior care providers can drive them to appointments, the pharmacy, and other places. Senior care can even drive them to see friends, run errands, go to their place of worship, or to have lunch at a favorite restaurant. If you are considering hiring senior care in Morgan, UT for an aging loved one, please contact the caring staff at Seniors Helping Seniors of Ogden, UT. Call today 801-821-4535. Your Parents Want to Age at Home - Important Steps to Take to Make That Happen What Can You Do for a Family Member that Lives Far Away?